Vivo Y81 VS Vivo Y81S: Can you Spot The Difference? Home Comparison Vivo Y81 VS Vivo Y81S: Can you Spot The Difference? other great features. They lookalike on the body, however, their specifications on the inside differs. 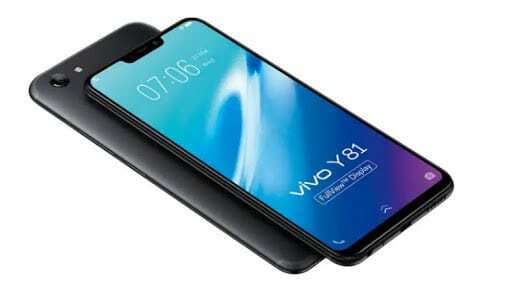 So in this article, we will be looking at the Vivo Y81 VS Vivo Y81S specifications and features comparisons. One of the highlights of these phones is the notch on the front that host the front camera and other sensors. On the body, both phones have Aluminium Alloy and plastic with body dimensions of 75 mm x 155 mm x 7.77 mm and they weigh 146 gram. The panel is smooth without any signs of a fingerprint scanner and on the front, there is none either which shows that both phones lack fingerprint reader. They are available in Black colors and they don’t support body protection. On the display still, you will be getting the same treatment. Both phones offer a screen size of 6.22 inches under IPS, LCD capacitive touchscreen with a screen resolution of 1520 x 720 Pixels and 270 pixels per inch density. They have a 19:9 Aspect Ratio with a present on of notch on the front which increases the screen to body ratio to 83% and they supports display protection. On the camera section, both the Vivo Y81 and the Vivo Y81S has the same rear cameras of 13 Megapixels with F2.2 aperture, a single LED flash and they shoot 1080p@30fps, 480p@120fps videos resolution. The phones also have some tricks on the camera that you can use to enhance the photos and when it comes to selfies, they both have front-facing cameras of 5 Megapixels with F2.2 Aperture and Face Recognition. The face recognition can be used to unlock the phone which is still the same as a fingerprint sensor. The Vivo Y81 and the Vivo Y81S are powered by MediaTek Helio P22 MT6762 chipset with an octa-core that runs at a speed of 2.0 GHz ARM + 1.5 GHz respectively. In terms of performance, they are further equipped with PowerVR GE8320 graphics card coupled with 3GB of RAM. The Vivo Y81 has an internal storage of 32GB which is expandable with micro SD card while the Vivo Y81S has internal memory of 64GB which is also expandable up to 256GB with micro SD card. Both runs in Android 8.1 Oreo operating system with a nonremovable battery capacity of 3260mAh that supports fast charging technology. For connectivity, both supports Wi-Fi 802.11 a/b/g/n, 802.11 n 5GHz, Dual-Band, Wi-Fi Direct, Wi-Fi Hotspot and micro USB cable with OTG. 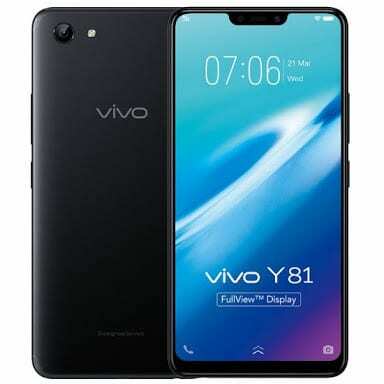 The Vivo Y81 is almost the same as the Y81S, however, the only thing that differentiates both phones is the internal memory which the Vivo Y81S has 64GB against the 32GB in the former. So the Vivo Y81S is the pro version of the Vivo Y81 smartphone and they are both selling under $200.